Come May, I’m putting on my big wine writer pants and catching a plane to London Town to go check out what the London Wine Far has to offer. Part trade fair, part innovative industry event, the London Wine Fair seems to me to fall somewhere between ProWein and Cape Wine. Aside from a massive trade floor with over 14 000 wines from 40 countries, the LWF looks to be jam-packed with industry briefings, TED-talk style seminars and a number of master classes dedicated to regions, styles or varietals. The master classes are one of the few exclusive, limited-seat events at the fair, and I can vouch for them booking out in the blink of an eye. One such master class is “South Africa Uncovered”. The details on the class is still sketchy beyond “this tasting offers an exploration of South Africa’s varied terroir, myriad of grape varieties and winemaking possibilities”, so I’m not sure who’ll be running it (WOSA?) or what will be featured, but I look forward to learning more about who featured and why. The LWF will also be featuring a schedule of trade briefings, with industry panels and expert speakers covering topics from Brexit and how it will impact the wine world to Women in Wine and sessions on UK wine trends, to name but a few. Other notable areas that seem worth checking out include the “Wines Unearthed” area, which features exciting wines that are not yet imported into the UK, “Esoterica” which champions small-scale importers and an “Education Zone” which sees the WSET offering sessions to help advance your wine knowledge – including free WSET Level 3 entrance testing. It all sounds very exciting. Or maybe I’m just green enough to still be excited by these types of trade shows, since I haven’t really attended many. Either way, it’s a global gathering of the wine world and the focus of this particular one seems to be on innovation, sharing information and communication. 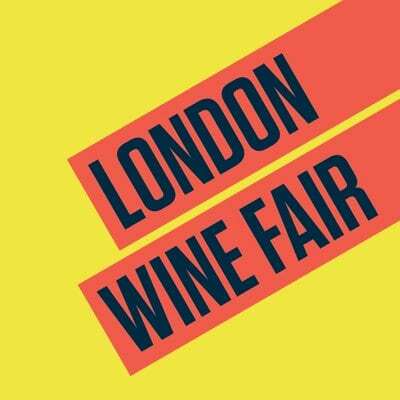 So here’s my question – what are we (anyone and everyone from the local wine scene that will be attending the LWF) taking to London in terms of messaging? WOSA will be there, but I’ve yet to hear any noises about what the focus will be. I found an old article from 2010, highlighting WOSA’s message at the wine fair ahead of the FIFA World Cup in South Africa. But that’s about it. I’m sure there’s some sort of approach planned, but considering the precarious situation our local tourism is heading towards in terms of the knock-on effects of the drought, might it not be prudent to be a bit more transparent about the plan? Or should we leave it to the individuals? That could be fun – because speaking to different wineries and industry professionals at the moment, we’re either heading towards a cliff, already off the cliff or we’ve just sprouted wings and will be flying above all adversity for years to come. Not exactly speaking with one voice, is it? It seems crucial at this time to send a message to the world that we’re not only open for business but that we welcome it. And make no mistake – we need to. Internationally, the view on the drought is still dire (and the less they know about South Africa as a destination, the worse they think it is here…). Bad news travels fast and tourism bookings in the winelands are noticeably – nay, worryingly – down, so pretending we don’t need to put some serious consideration into what we put out into the world is not only foolish, but downright irresponsible. For a number of years now, the internal dialogue in the industry has been calling for a more united front – putting Brand SA ahead of individual interests and pulling together to promote South Africa as a whole. This is, of course, tricky to do – “Brand SA” – if it even exists – doesn’t pay for individual wineries to make their way to the trade shows so priorities to justify expense are obviously at play. I guess I’m just wondering if we’re going to take really this opportunity to make sure we get our message across – and to take the pulse of the rest of the wine world’s take on the current situation in SA. Or we’ll fall back on old habits and muddle along like we always do. Next articleSA’s best luxury red wine?